An adoption counselor will return your call within 12 hours. An interview will take place, and if your cat-owning philosophy fits with ours, we’ll arrange an appointment for you to meet your potential cat at their foster home. We are not a shelter with a single location or building. 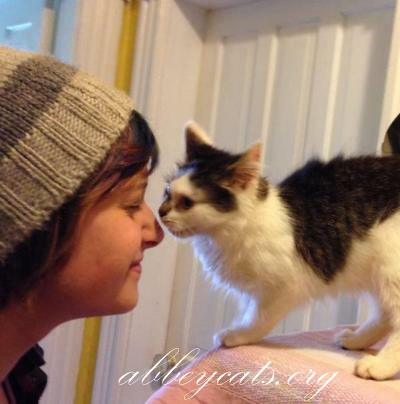 Abbey cats live with their foster families in homes throughout the G.T.A. As a result, our cats are much healthier, happier, and sociable. Depending on the location of the foster home and subject to the availability of the foster parent, it may take some additional time to set up a meeting between you and your new friend.